Hosted by Karen Barnett, president and founder of Steele Rose Communications and a seasoned, award-winning marketer with extensive experience in developing strategic marketing campaigns for a variety of leading global corporations, "P.M.S. 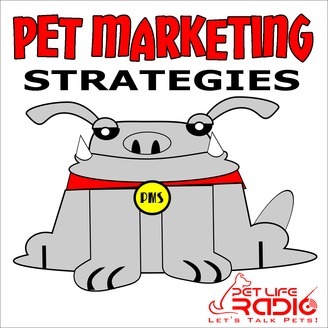 - Pet Marketing Strategies for the Petpreneur" offers business executives insightful tips on public relations and marketing communications. From "How to build your brand with just three words", and "If You’re Not Media Trained, It Could Cost Your Company its Reputation" to "Learning the Difference Between News and Newsworthiness and the Criteria a Reporter Uses to Determine It?," this show provides a strong, broad-based knowledge of public relations, branding, product launches, media relations and crisis management. "Reaching a worldwide audience that is passionate about conducting strategic marketing communications to build their companies and their brands was an opportunity too exciting not to explore," said Barnett. "From interviews with CEOs to board members, my goal is to provide our hungry pet business audience with real-world advice on successful proven business practices that positively impact the bottom-line." The show will take a look at how building brand awareness will differentiate a product from its competition in a tight economy, build brand loyalty and increase sales. 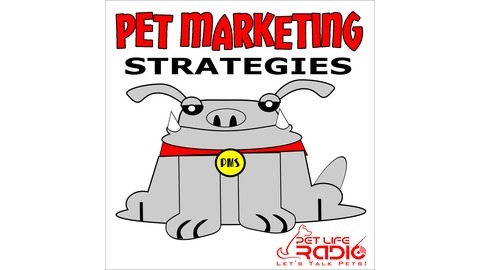 P. M. S. - Pet Marketing Strategies will include captivating interviews with CEOs, VPs of Marketing, reporters/producers in the field as well as experts in the field of media relations, sponsorships, event marketing, graphic design, video production, media monitoring, product placements and crisis communications... on Pet Life Radio. Today, Karen shares forty of her all-time fantastic tools for startups. These are the latest and greatest online tools for any startup... online, brick-and-mortar, service, website, freelancer, pet-preneur, solo-preneur, creative-preneur-- any business startup can use. Karen shares with listeners not only what she uses but some of the best tools in the industry. Startups deserve great tools, so tune in!